Short after the wedding proposal, preparation for the wedding is the next expected scene. 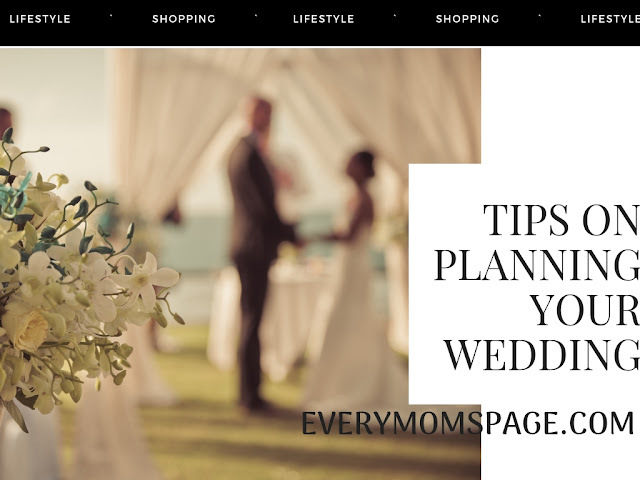 You might find yourself looking for wedding theme ideas on Pinterest or Youtube, and browsing the internet for tips and recommendations. For some couples, the planning stage of wedding is the most stressful part. Seriously, planning doesn't have to be exhausting, you should have enjoy every seconds of it. Yes, it can be a bit very overwhelming, but don't worry we got your back. You might initially find it confusing on where and how to start. We end up putting up a list of what you need in your special day. So, if you are a groom or bride to be, this post is sure fire way to help you! First, you need to establish budget for your wedding, and stick to it. Grab a pen and paper and start to list the expenses. Allot a certain budget for each category. Keep in mind, you need to be ready in case there will be changes from the original plan so make sure to add an extra budget for the unexpected expenses. Once you have finalized the list and the allotted budget, you can now proceed to planning for each category. The wedding date sometimes depends on the wedding theme. Like, the ideal months for beach weddings are between September to May. Some prefer to choose special days like the date when they first met, or same date when their parents married. Whatever date you choose, make sure it doesn't conflict both of your schedules. Planning the venue has to be carefully decided. Here are some important things you need to keep in mind in finding the best venue. First, the venue has to be easier to locate, or it is a good idea if you can add a map on your invitations. It will make reaching the venue easier for your guests and saves you from any hassle. You can also ask them if the venue provides some sort of transportation assistance. Make sure to book for the venue 6-9 months before your wedding. It also helps to check customer reviews of a certain venue before booking just to make sure you have everything perfect on your special day. Discuss all the details if it includes foods and other services. Some wedding venues provide a package which includes photographer, foods, and planner. Make it clear if the facilities include the A/C use, tables, chairs, sound system, parking, etc. As the bride and groom, you are the main characters of the event. Your outfit will be one of the highlights during the event. And as always, choosing what to wear on your special day has to be one of the most exciting part. Start shopping for your wedding dress 9-12 months before your wedding, it gives you enough time if it needs alterations. Then, shopping for the accessories may follow. Think of special features you love to go for, or perform a random draw. Ask recommendations from friends or relatives, its best to buy your wedding gown from a trusted shop to make sure you get the best experience. The best time to visit the shop is morning, when the staff are still energetic and still at their best mood. Don't choose a wedding dress because it is trendy. The bride needs to have an open mind, what you looks great might not feel good. It is best to choose light fabric for comfort. As you may notice during wedding events, its the top of your dress that most most stared-at and photographed most of the time. So make sure the dress compliments your features and at the same time comfortable to wear. Your wedding is one of the most unforgettable event in your life, planning and shopping for your wedding should be a fun experience. Don't stress yourself, and always wear a smile.